Well the downside to that decision is that now we have to find a way of doing the laundry. After the Dover Delivery Team departure (the three lads), we were left with a lot dirty laundry to sort out. 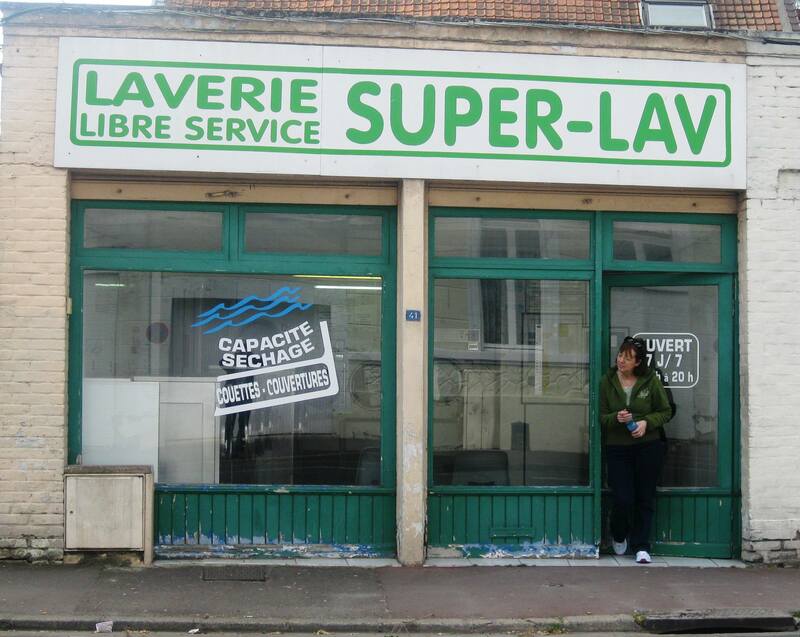 We searched Douai for a launderette. The first two we came across, needed a card to gain entry. There were people inside washing clothes who kindly let us in but they kept telling us that we needed to find the manager to get a card to gain access to the launderette and that he/ she never seemed to be there. Then two streets from where the boat was moored Nuala spotted, out of the corner of her eye, another launderette. This one had the door open! You could go in and just put money in the slot machines to get the machine to work. So back we came on Saturday with our laundry and washed everything. I never thought I would see myself doing this, but Nuala says she did it long time ago when she lived in a flat in Rathmines. We put the washing in and went to the supermarket (Lidl) to get our groceries and …..magic, when we came back 40 minutes later the washing was done! Then we had to wait another 20 minutes while it dried in the dryers. Total cost €8.20 cents. Looks like the decision not to fit a washing machine was right. We never met the proprietor and it all worked out very well. On a social comment note it’s a pity governments don’t operate on the same basis as private industry. Obviously the only way the owner of the Laverie can manage is to automate everything and not have staff in attendance. Why cannot governments learn the same. A couple of days ago, we visited a museum in Douai and there were six staff with nothing to do! What a waste of tax payer’s money. Now all I need is to find someone to do the ironing!! Any suggestion other than me?? 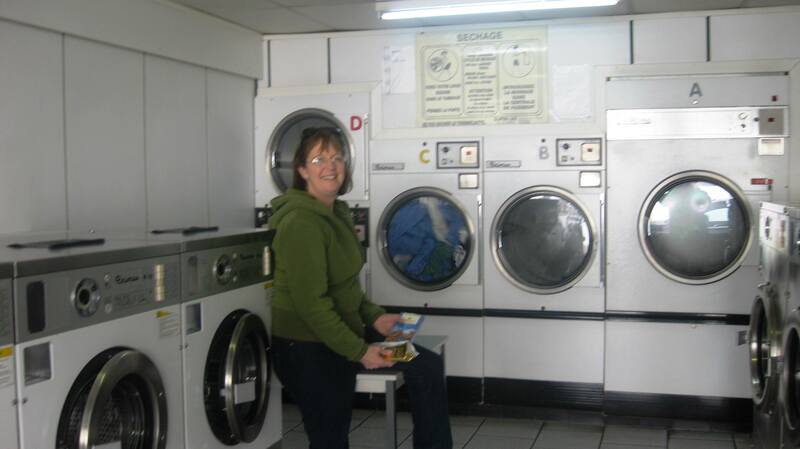 This entry was posted in comments on life, Comments on Social Economic Lifestyle in France, On the Journey and tagged launderette, Laverie, Nuala, washing machine. Bookmark the permalink. 6 Responses to Remember the blog debate on Washing Machine or Microwave? Delighted to hear that all is going well. I am glad you opted for the microwave, would not fancy trying to put the washing machine in that position. Of course, you will now never know what you are missing. We lived on the boat for a year without a washing machine, and the best thing we ever did was to put one in! Microwave – we have no use for one of those anyway. 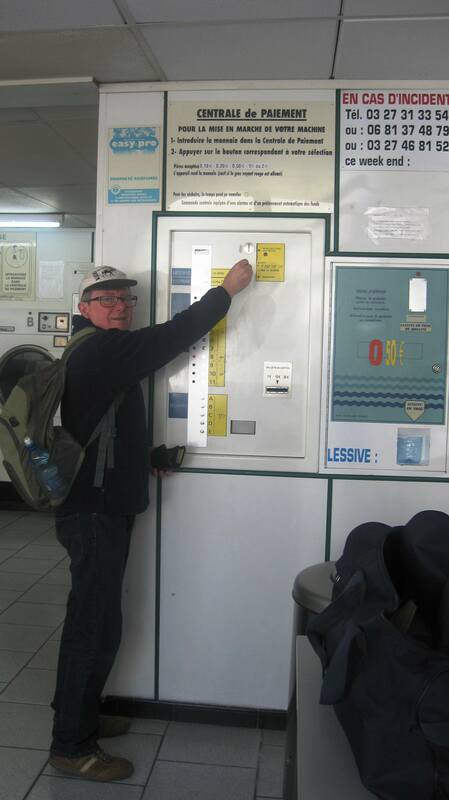 It is fantastic to be able to wash and dry one’s laundry as often as one wants whilst cruising along. You do need travelpower or some form of generator though.